FIBREFENCE GRP MESH fences are built directly on site by assembling GRP mesh, profiles, and wind-bracings. 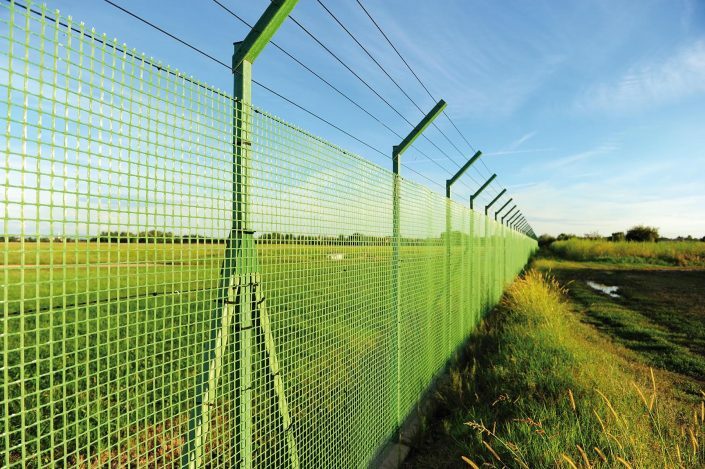 This design makes it one of the most efficient, durable and cost-effective solutions among all radio-transparent certified fencing systems available. 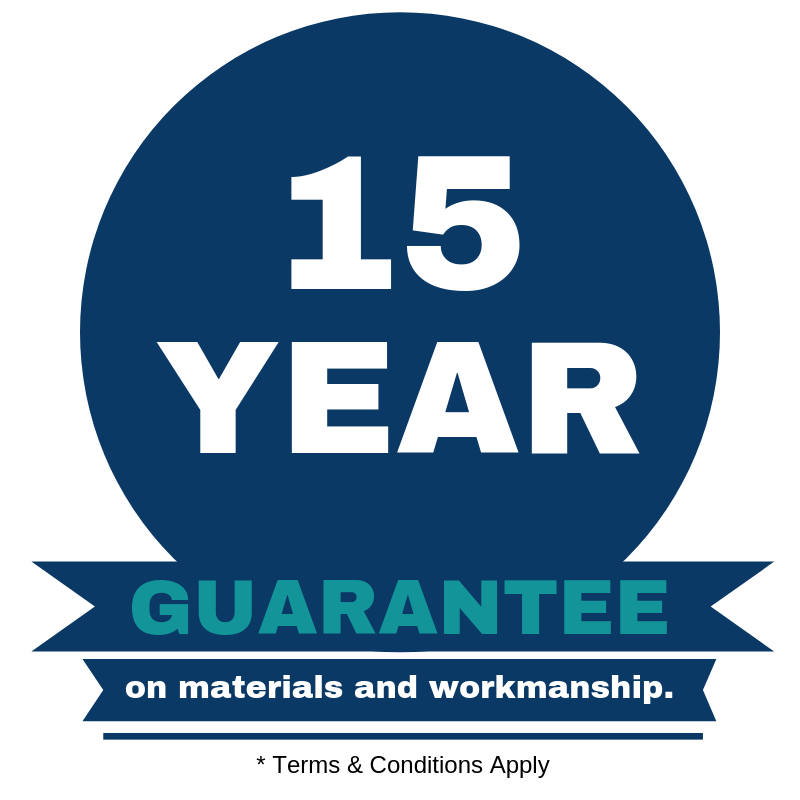 The installation is fast and easy, with all component being extremely lightweight and no requirement for special lifting devices or cranes on site, helping to reduce the overall installation costs compared to any other solution. 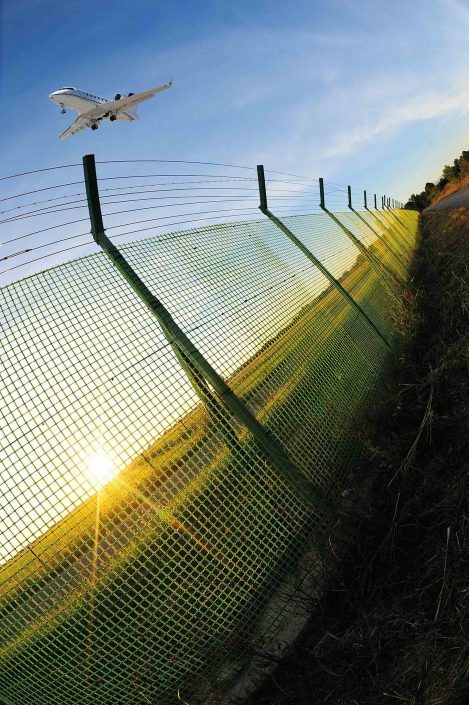 Mesh wide apertures ensure great visibility to improve active and passive security, while its mechanical resistance is guaranteed against intrusion attempts or impacts with animals. To avoid small wildlife intrusions, it is possible to bury part of the mesh into the ground, and to use a smaller mesh on the part closer to the ground, according to most recent Aviation Authorities recommendations. FIBREFENCE GRP MESH fences are available in standard heights from 1 to 2.5m, while other dimensions are available on demand. 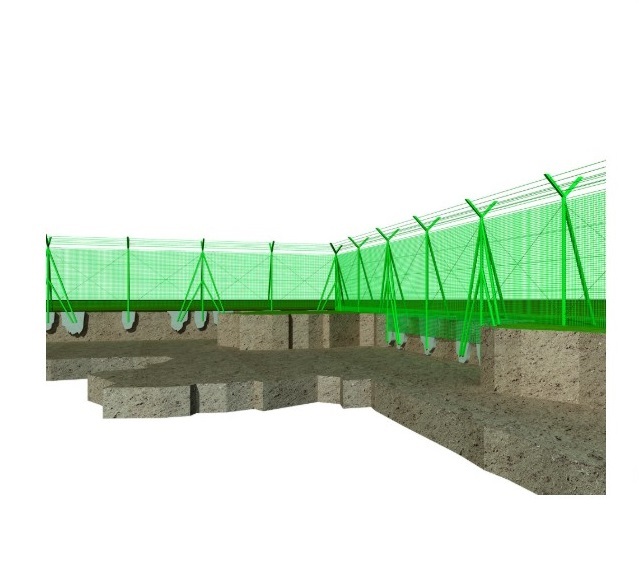 Where necessary, in-line and/or perpendicular wind bracings are installed to improve overall resistance. 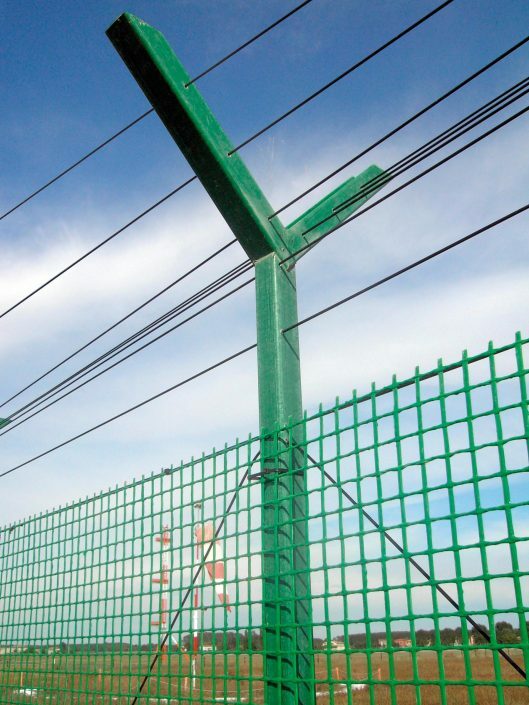 To increase security level, vertical rods can be accessorized with special arms to support plastic, barbed or concertina wires. Furthermore, they are compatible with most common intrusion detection and monitoring/control systems. 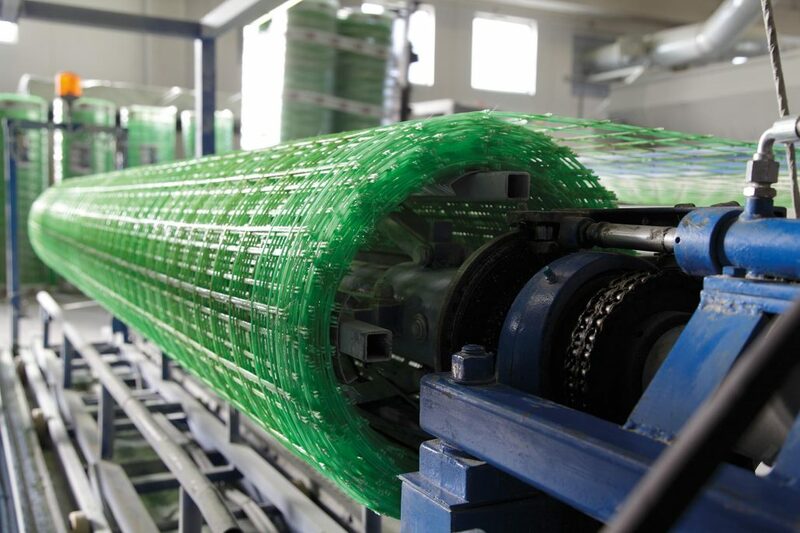 Design, engineering and manufacturing are tailored according to customer’s specifications and needs. 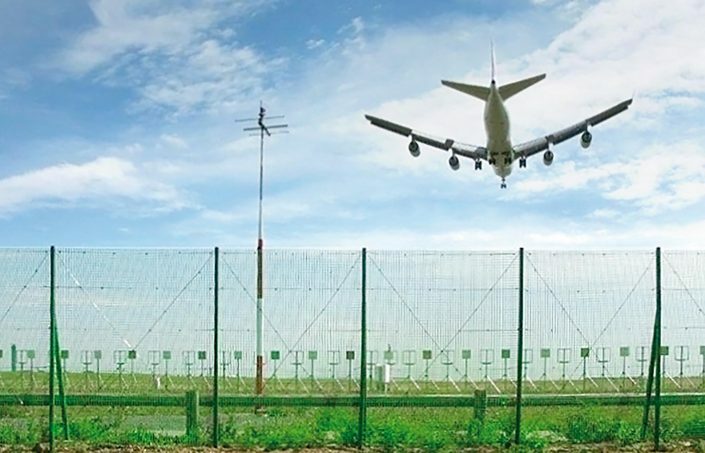 Thanks to all these benefits and advantages, FIBREFENCE GRP MESH fences have already been installed at over 50 airports around the world. 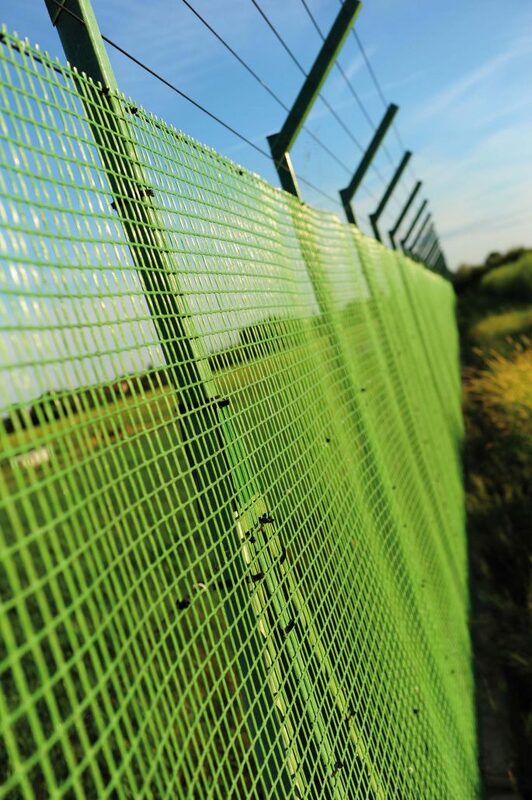 GRP Mesh Fencing finished in a range of colours including Green, Red and White.